With Cookie Lee you can do home jewelry shows where you have a hostess invite her friends over and you let them buy from your trays of rings, bracelets and necklaces. The hostess gets awesome gifts and you get check after check after check from her friends. It's about the best win-win situation ever! I ended up pursuing my writing career and decided to stop selling jewelry for a little while. And although I love writing, sometimes when I look at my friend Bonnie I truly miss Cookie Lee. 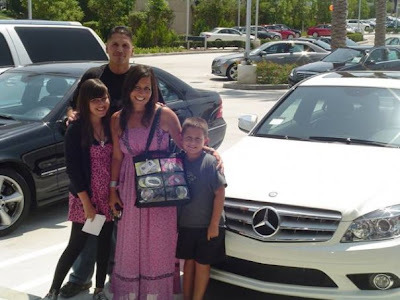 Every single year, Bonnie sells enough jewelry to go on AMAZING dream trips provided by the company, and she even earned a Mercedes. Seriously. A Mercedes! You can read an article about Bonnie here, and visit her personal Cookie Lee page here.